CTC191 – it’s Clean and Simple – Be Strong Be Happy Be You! Whether you’re joining the Hop here at CreativeJax with Jackie Noble, or if you’ve hopped on over from Julia at Hand Made by Julia Quinn – a big WELCOME! This week the CTC Crew is CASE-ing pages 142 – 153 of the Annual Catalogue which starts with the fabulous Nature’s Poem Suite and continues with an array of gorgeous stamp sets. I have CASEd a card from page 149. I was taken with the striking simplicity of the card in the middle of the page and have created my version. Here’s the card on its own. The mini striped ribbon is available in three colours – Gorgeous Grape, Bermuda Bay and Poppy Parade. I love how these three colours from the Brights Colour Collection go so well together. The card base is a standard A6. That’s 21cm x 14.8cm scored at 10.5cm – so half an A4 scored in half. 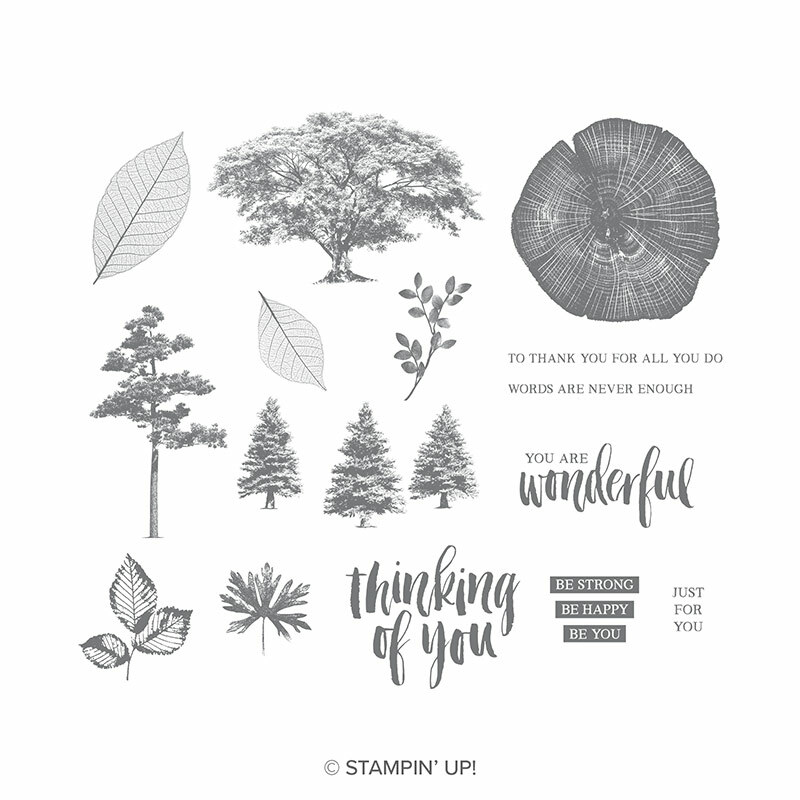 The clean and simple sentiment is from the Rooted in Nature stamp set. Aren’t there some stunning images in this set? I’ve used the one with three lines of text that are “reversed”. I stamped the sentiment three times – once in each of the ribbon colours and then grabbed my Paper Snips to fussy cut each one into the individual lines of text. Once they were cut apart I could use a line of each colour on my card – attaching them Mini Dimensionals. Don’t forget – the Colour Your Season Suite of products are only available until the end of August. Don’t miss out on my favourite – the Stitched Season Framelits! And of course, any order of $110 will earn you a Bonus Coupon for $11 which you can redeemed n September. You can find the current Hostess Code at the top right of my webpage. Simply amazing Jackie! Your choice of colours and elements really make this card pop! love it. Love that the 3 ribbon colours are also the sentiment colours. Simple and strong! Simple but beautiful Jackie. I love the colours you’ve chosen, they work so well together. Another card I missed in this section of the catalogue! I love your take on the original with your use of ribbons, so pretty. That’s a nice way to change up a design Jackie. Your colours have lots of zing!!! Love these colours together. And love the coordination with the greeting. Thanks for caseing and the awesome inspiration. Oh how clever! I’ve looked at these pages so many times but don’t think I’ve taken a good look at the ribbon card before. Thanks so much for recreating it and fore sharing here. So simple, but stunning!! Love the ribbons.